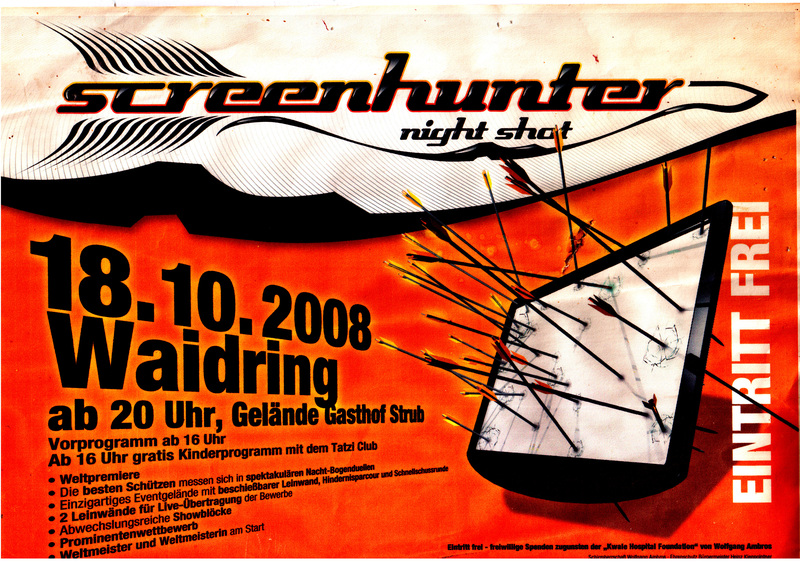 Austrian music star, and archer, Wolfgang Ambros, at the Screenhunter Nightshot – Waidring, Tyrol, in 2008. 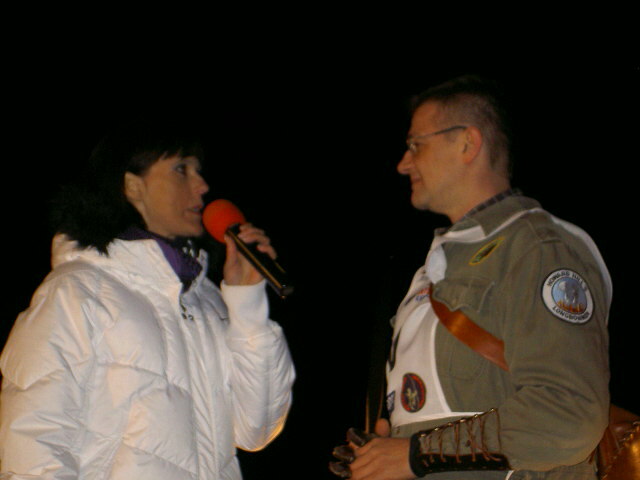 It was a Charity- Event to support Wolfgang Ambros‘ Children Hospital project in Kenya. 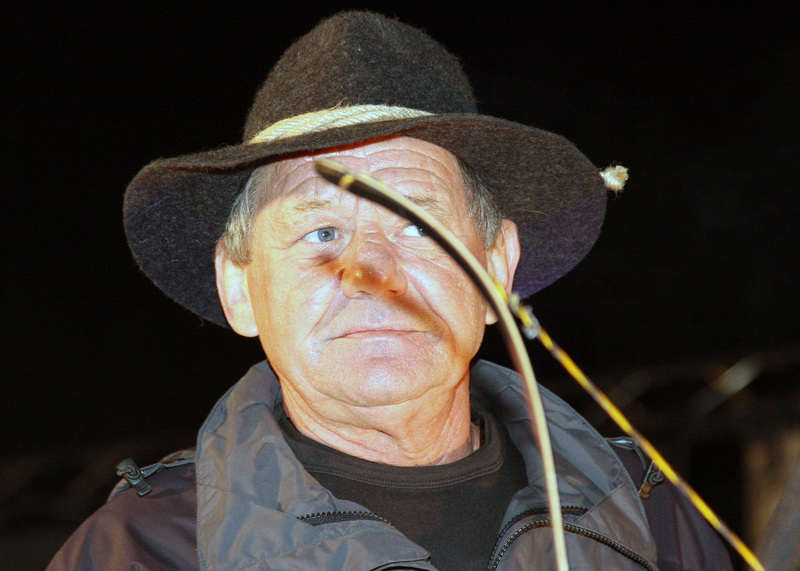 All photos by Peter O. Stecher. 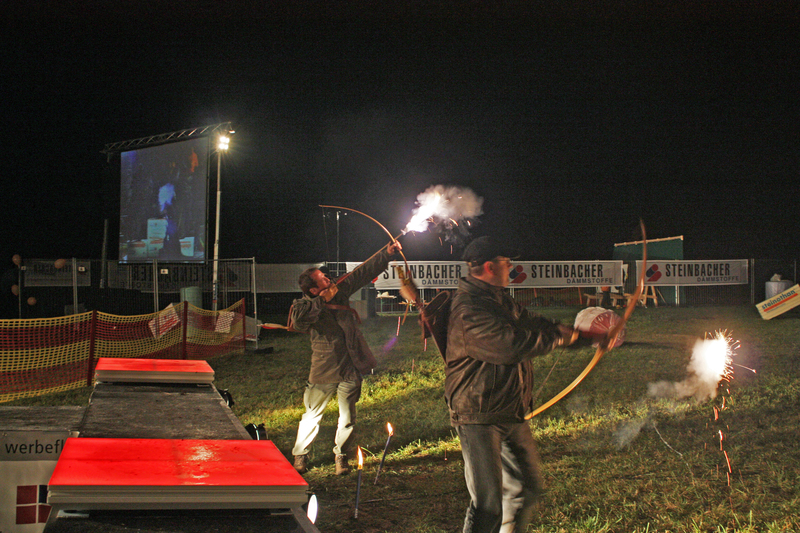 Screenhunter Nightshot, Waidring, Tyrol 2008 – flaming arrows. Next > The brandnew 2015 „Howard Hill’s Longbowmen“ sew on patch!